Arguably, no one in the world knows more about hiking in the Canadian Rockies than Brian Patton, author of our Canadian Rockies Trail Guide. He’s been writing at the Canadian Rockies hiking blog since last summer, and continues to dispel his wisdom with regular posts (recent posts have been as varied as the history of the Great Divide Trail and hiking trails with links to Hollywood movies). Looking for Used Books in Canmore? In late June 2013, floods affected many businesses and residences in Canmore, including Second Story Books, a popular used bookstore and one of our oldest vendors. The store never reopened. Recently, Joy McLean of nearby Café Books leased a small space across the hallway from her main bookstore and has furnished it with beautiful wooden bookshelves that she has filled with a thoughtful selection of used books. This is the only used bookstore in the Canadian Rockies, and well worth visiting if you’re in Canmore. Flooding has claimed one of our oldest vendors, Second Story Books in Canmore. At this point, the store’s future is uncertain, but we hope Heath and her staff all the best. 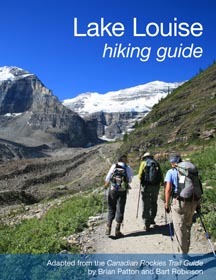 We don’t know who, but someone, somewhere, purchased the 250,000th copy of the Canadian Rockies Trail Guide in September 2012. Maybe you’ll bump into them on a fall hike in Larch Valley! 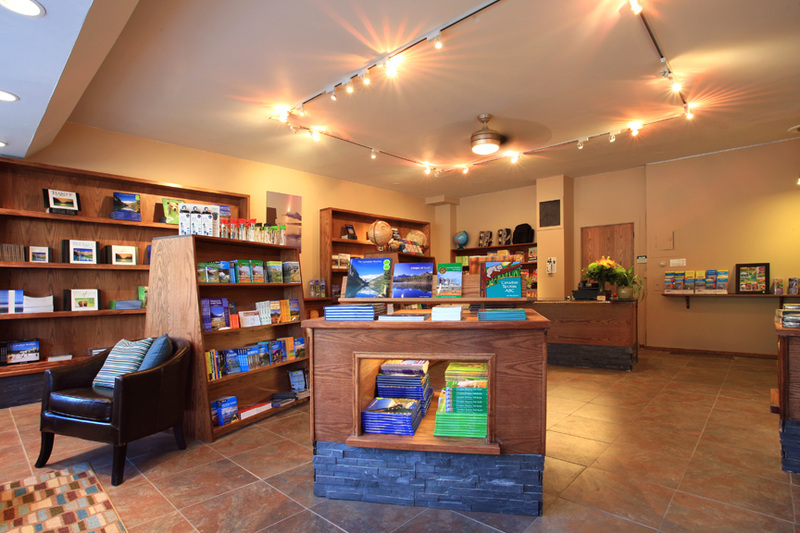 Mooseprint Books & Gifts opens in downtown Banff. Wayne Lynch’s Canadian Rockies Wildlife for Kids, is a winner in the Children’s and Young Adult Book Award. Quill & Quire calls Wayne Lynch’s Canadian Rockies Wildlife for Kids a “winning reference for middle-grade readers.